The old Currents Lounge will be transformed into the SHOR Tavern at the Hyatt Jacksonville Regency Riverfront. 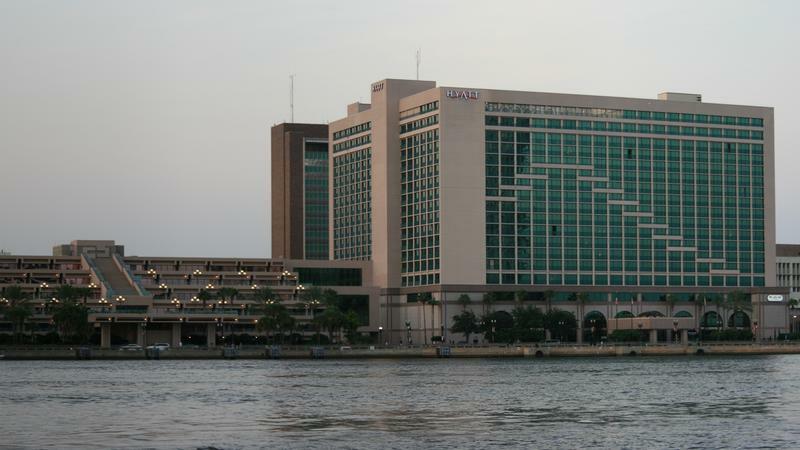 The SHOR is coming in at the Hyatt Jacksonville Regency Riverfront. The city is reviewing a permit application for a $900,000 renovation on the first floor of the hotel for the SHOR Tavern at the site of its existing lounge, according to our Daily Record news partner. Hotel management said it had no information to share. The permit application shows a 5,000-square-foot project, and plans outline the bar at 2,915 square feet. Jonathan Nehmer & Associates Inc. of Rockville, Maryland, is the architect. Hotel General Manager Luis Aloma said in March that three new restaurant concepts were coming to the Hyatt that could open this summer. The three are the SHOR Seafood Grill, the Tavern and The Market, although he said those names are subject to change. The hotel lobby, at 225 Coastline Drive E., was renovated after Hurricane Irma flooded the property in September. The Market, a grab-and-go concept, will operate 24 hours. The SHOR Seafood Grill will serve as the hotel’s three-meal restaurant and can accommodate from 60 to 150 diners, with adjustable space. The SHOR Tavern formerly was Currents Lounge. 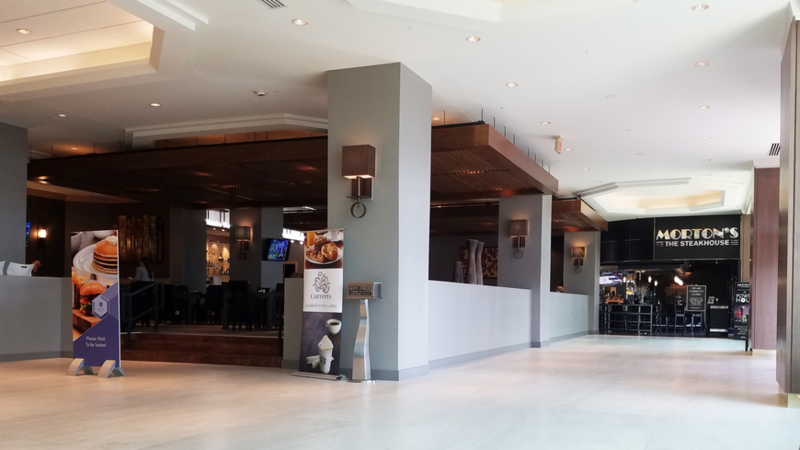 After renovations, the Hyatt lobby re-opened Feb. 14. During renovations, food service was moved to some converted meeting rooms. When the lobby opened, the restaurant service was moved to the Currents space and part of the former dining space. The 19-floor, 951-room hotel was built in 2001. The Daily Record's Mathis Report also says Critical Alert Systems has been approved for remodeling. You can read the full Mathis Report here. 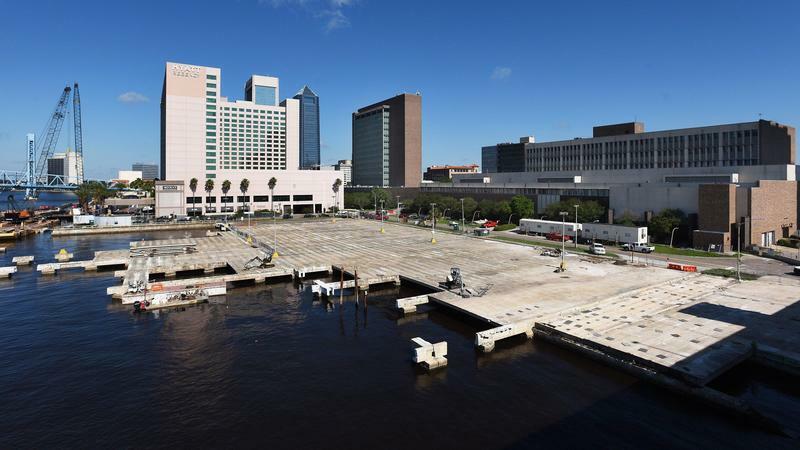 While plans and names are tentative, the three new restaurant concepts coming to the Hyatt Regency Jacksonville Riverfront could open by late summer. The long-awaited demolition of the parking deck behind the old county courthouse and the reconstruction of Coastline Drive and Liberty Street could cost $1 million more and take months longer to finish than originally anticipated. Hurricane Irma may be gone but the storm will still have an impact on Florida-Georgia weekend, which is just three-and-a-half weeks away.